Why Get Involved in a Life Group? 1. Life Groups help us to grow spiritually by creating an ideal setting for Bible study, prayer, support, and accountability with other believers. 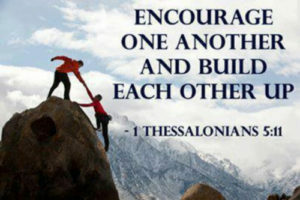 1 Thessalonians 5:11 tells us: “Therefore comfort each other and edify one another, just as you also are doing.” As followers of Christ we need fellow believers to come along side us to encourage and build us up. Life Groups provide a great environment for this to take place. 2. Life Groups provide an ideal environment for friendship and relationship building. 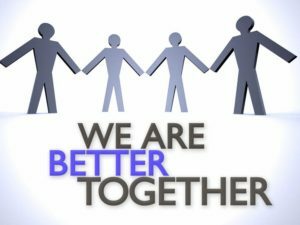 Hebrews 10:25 says: Do not forsake the assembling of ourselves together, as is the manner of some, but exhorting one another, and so much the more as you see the Day approaching.” God created mankind with a desire for community and relationship, and Jesus designed His church to provide that community for believers. 3. Life Groups provide great environments for learning from a variety of leaders on a variety of topics. God has gifted many people in the church with knowledge and insight into different topics, and life groups allow those with knowledge and wisdom to teach others. 4. Life Groups provide accountability for believers in the midst of a world that tries to pull us off track. Everyone needs people in their lives who know them, and will encourage and challenge them to stay on the straight and narrow. Life Groups can provide that accountability.